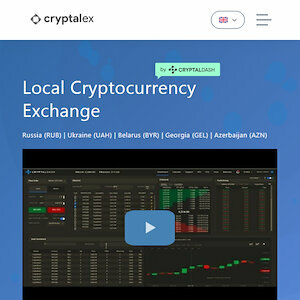 CryptalEX is a localized Cryptocurrency Exchange for the East-European market, that is linked with the CryptalDash Ecosystem. The CryptalDash Ecosystem consists of shared Infrastructure, Technology, Liquidity Pool, Matching Engine, OTC Institutional Trading Desk, Custodian Services and, most important, the (CRD) Exchange Utility Token. As a token holder, you will be happy to know that more localised exchanges will begin operating in 2019, which will collectively drive demand for the central exchange token (CRD)! CryptalEx is a robust cryptocurrency exchange and trading platform. Equipped with an institutional grade matching engine as well as third-party cryptocurrency exchanges order routing capabilities. This happens all under one dashboard that enables a seamless trading Experience. CryptalEx (CRD) is also the name of the main currency of the trading platform.